The competitors must have passed 12th Standard or equivalent examination from a perceived Board or University. The competitors must have passed 12th Standard pass in Science stream (Mathematics) equivalent examination from a perceived Board or University. Application Fee: Rs. 100/- (No fee for SC/ST/PH/Women and Ex-Serviceman) to be deposited online through BHIM UPI, Net Banking, by using Mastercard/Visa/RuPay/Maestro/Credit or Debit cards or in SBI Branches by generating SBI Challan. 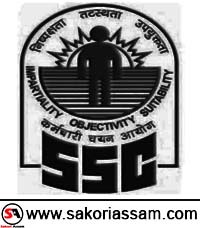 www.SakoriAssam.com is a Premier Website for Latest Gvt. Jobs Recruitment in Assam and North-East India.